Financial seminars are a norm for many finance companies. 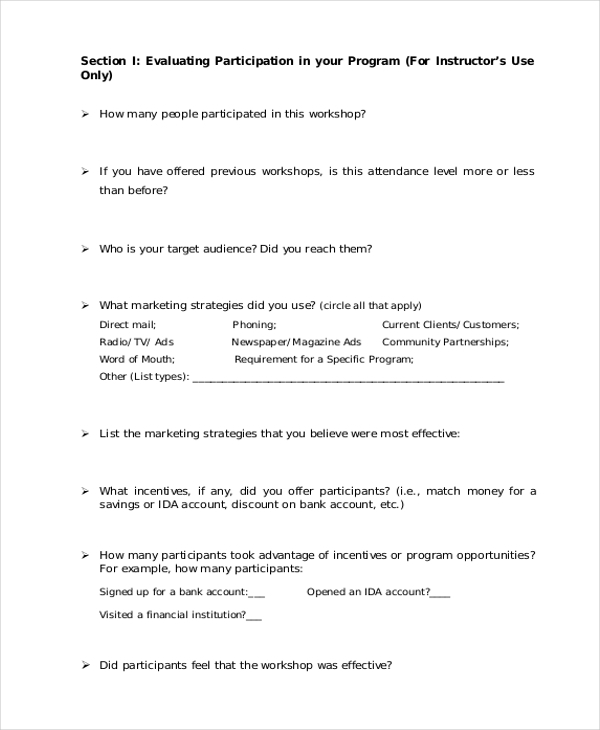 At the end of the event, the organizers do hand out financial evaluation forms for the audience to know and comprehend how much and how well the attendees understood from the program. 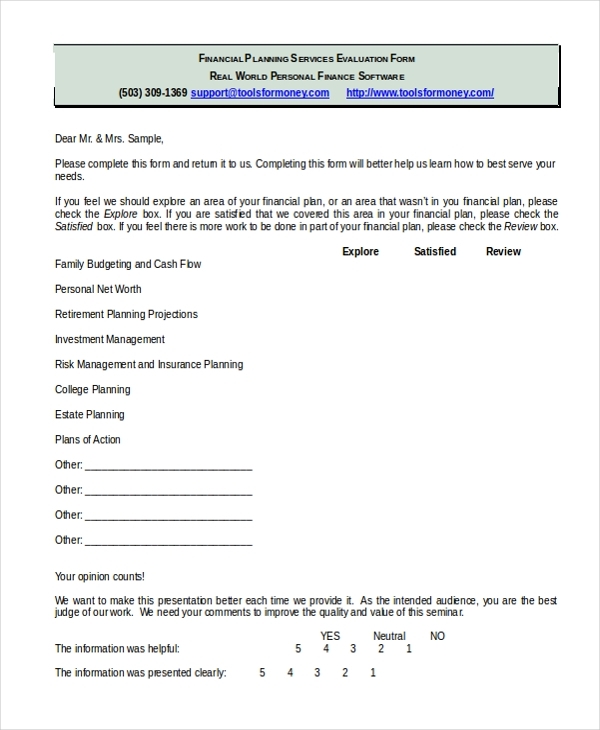 A seminar financial evaluation form is lined-up with multiple-choice questions. A financial capacity evaluation form is directed towards understanding how financially sound and well-composed an applicant is. 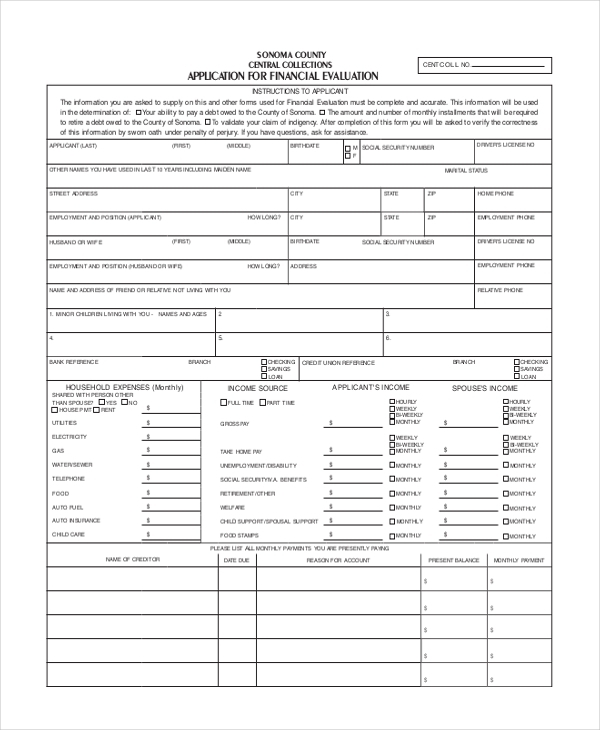 Forms of such kind are usually very elaborate and applicants are expected to answer relevant questions pertaining to family history, current family assets, current and previous employment history, assets and income sources. Financial evaluation forms are used as a yardstick to gather feedback from clients and customers. After a particular beneficiary has sought financial assistance, the company dutifully seeks their opinion for the services provided. The feedback and views in the form provide important information upon which the company determines the plan of action for improving their line of services. Such a form is usually helpful in scenarios wherein an applicant wants to apply for a bank loan or seek help services in financial matters. The authorities imparting such services ask applicants to provide accurate and in-depth information regarding their current financial status. Upon completion, the authorities will read and review the information and determine whether the applicant is fit for being a beneficiary of services, he or she has requested for. This is a financial evaluation form used to assess the performance and merits of the Financial secretary of an organizational body. The layout is simple and the opinion needs to be given in the form of ticking appropriate comment boxes against what is being asked in the form. If a child or a student has applied and been the benefactor of financial services from a school or college, the institution proactively seeks the opinion of student’s parents. In such a scenario a Financial evaluation of Student Services proves useful. 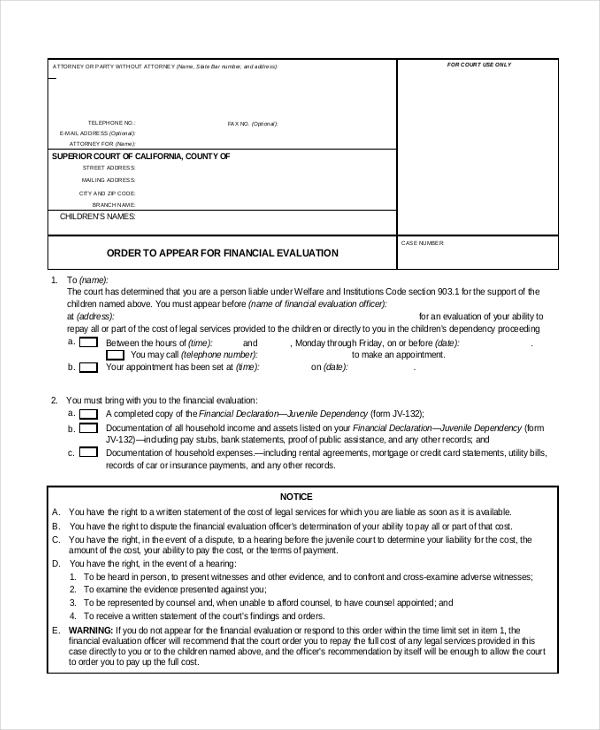 In case, a court hearing is determined for the cause of understanding the financial situation of an individual, the attorney is required to file an order to appear for Financial Evaluation, on behalf of the client. 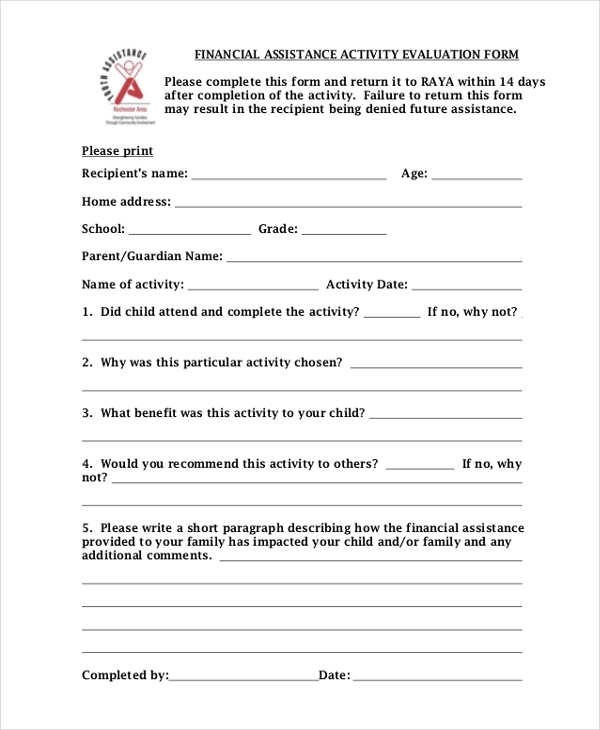 After a parent seeks financial assistance for their ward successfully, they are required to fill up a Financial Assistance Activity Evaluation Form in order from the authorities to get feedback regarding how satisfied the parent and their ward by their financial assistance service given to them. 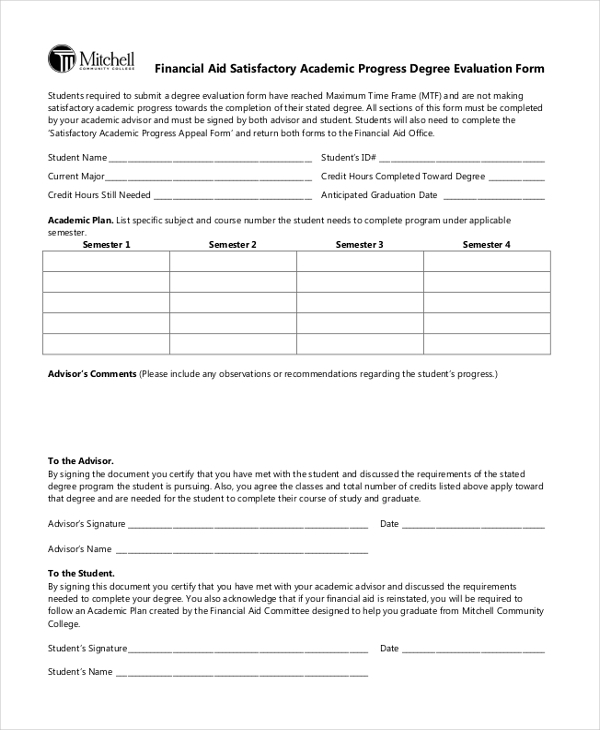 In case students do not fare well in their subjects at school or college, even after surpassing the maximum time-limit, the authorities ask them to fill up a Financial Academic Progress Evaluation Form which tells them whether or not the student is competent enough to sit for the course further. The target audience for financial evaluation forms changes depending on the purpose they are being used in. 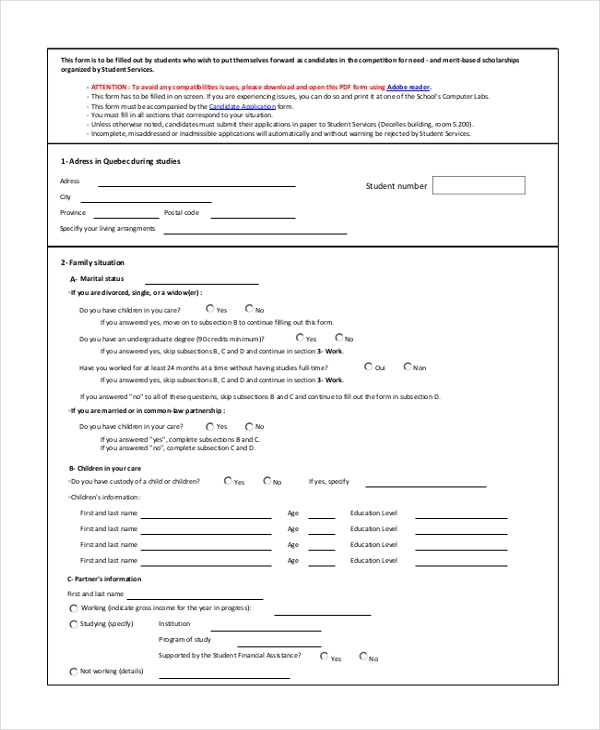 The format and layout of a financial evaluation form of the bank will be different from the one that gets handed out to students in school or college. 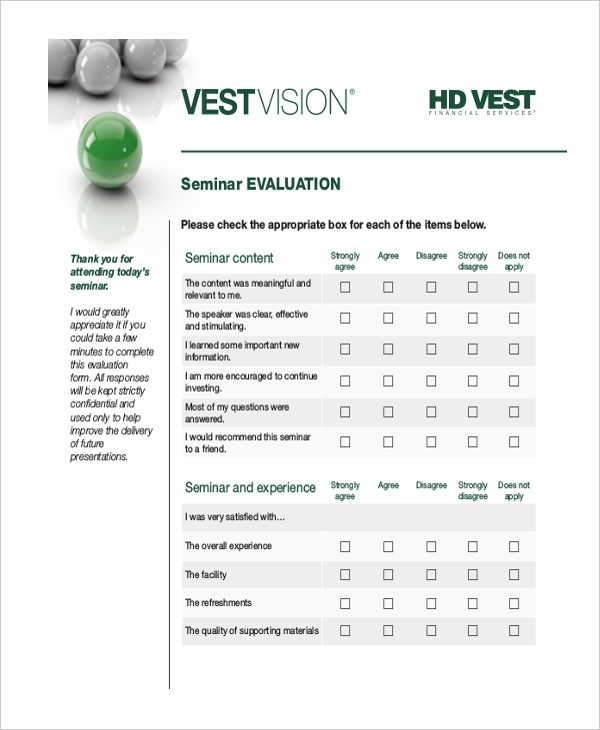 Ideally, the audience of a financial evaluation form needs to be given a form for two reasons: to fill up an application or give feedback for financial services which they may have received. Financial evaluation forms are necessary and important. They are not only good sources of information but also beneficial to the clients and customers that fill up them. 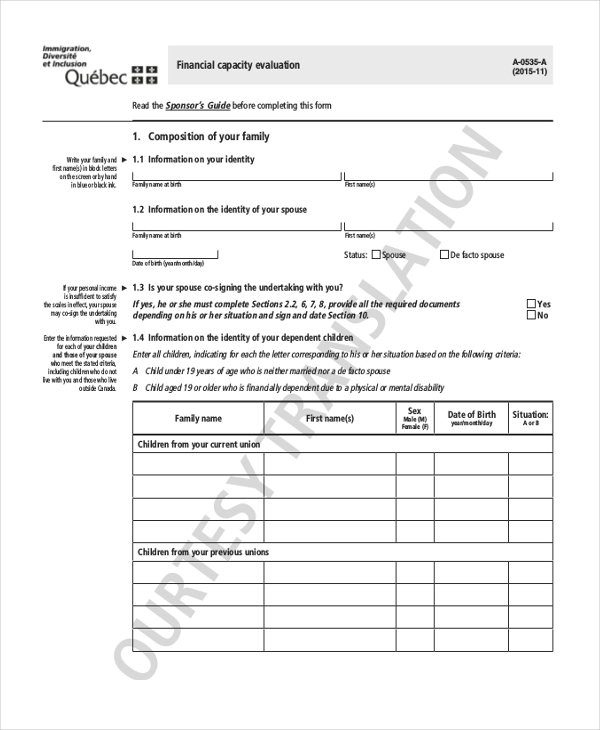 As shown above, financial evaluation forms are available in many formats. Each format has its own specialty and serves its purpose.